The approval ratings came as FBI Director Comey on Monday told lawmakers that there was no evidence for the President's unverified claim that Obama wiretapped Trump Tower during the election. 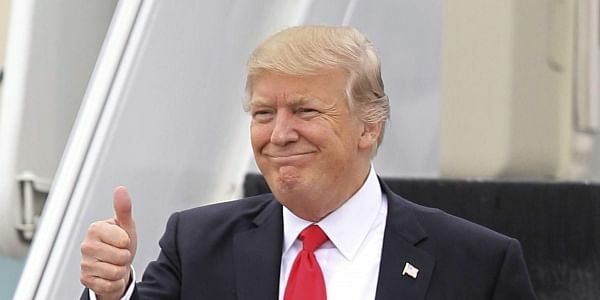 WASHINGTON: US President Donald Trump's job approval rating has dropped to 37 per cent, while 58 per cent of Americans disapprove of his performance so far as President, new Gallup figures show. The approval ratings, Trump's worst since taking office two months ago, came as FBI Director James Comey on Monday told lawmakers that there was no evidence for the President's unverified claim that former President Barack Obama wiretapped Trump Tower during the November 8, 2016 election. Trump's approval rating hovered in the mid-to-low 40s in the weeks following the beginning of his presidency, CNN reported. Aside from the controversy over Trump's wiretapping claim, the latest poll numbers suggest growing dissatisfaction with his performance following the chaotic rollout of Republicans' plan to replace the Affordable Care Act and reaction to his travel ban that has faced stiff legal opposition. Gallup tracks daily the percentage of Americans who approve or disapprove of Trump's job performance. The daily results are based on telephone interviews with about 1,500 national adults and have a margin of error of 3 percentage points.